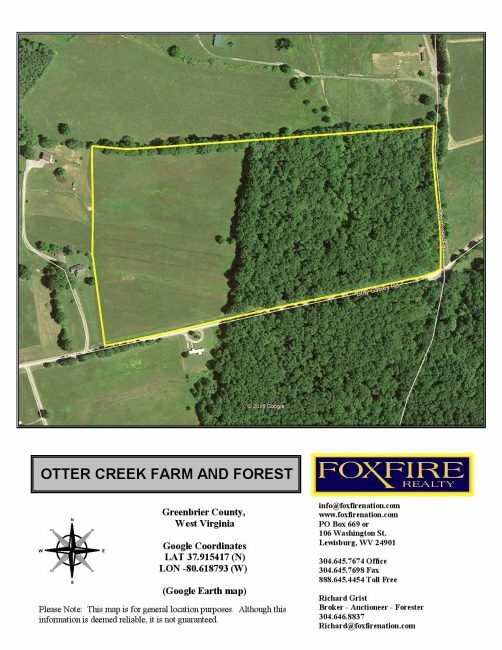 OTTER CREEK FARM & FOREST is a 25 acre farm and forest property located in Greenbrier County. Otter Creek is located in Greenbrier County, WV near Lewisburg, Rainelle and the unincorporated community of Sam Black. This 25 acre agricultural- timberland-recreational opportunity is located in the scenic, mountainous region of southeastern West Virginia. 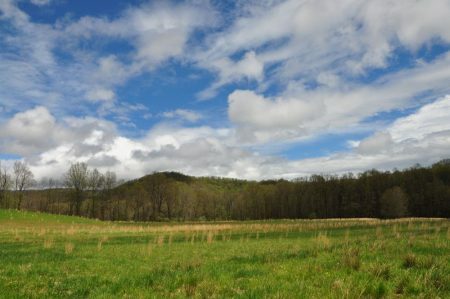 The surrounding Greenbrier County landscape is part of the southeastern Ridge and Valley Region, a scenic tapestry of elongated hardwood Allegheny & Appalachian mountain ranges. Much of Greenbrier County remains undeveloped and is characterized by its scenic farm valleys, small communities and large expanses of hardwood forest. 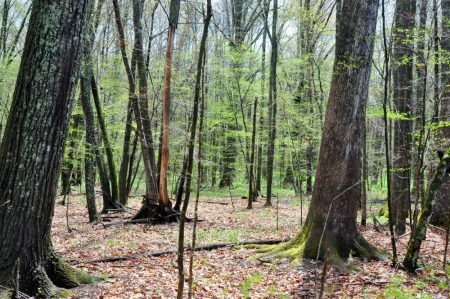 Otter Creek, with nearly 13 acres of mature forest, represents an opportunity to create a classic family ownership legacy for the next tenure. 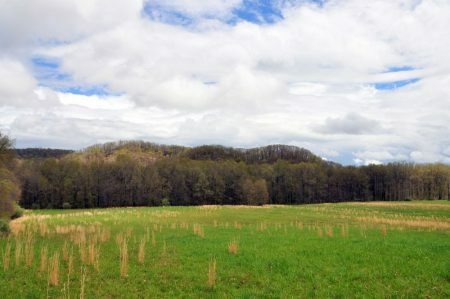 Terrain is unique in the region and considered level to slightly rolling. 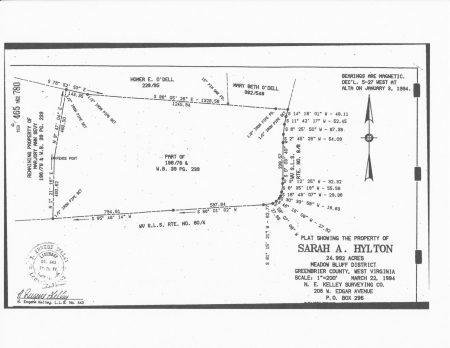 Address: Grey Gables Road, Crawley, WV 24931; No 911 address is assigned to property without structures. 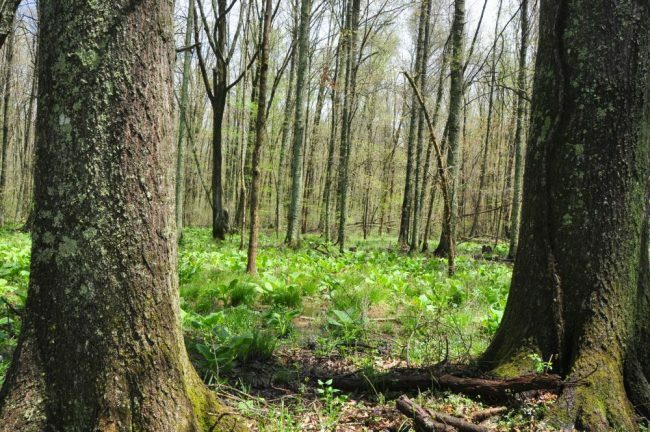 In earlie r times, before the environmental and societal value of wetlands was discovered, Otter Creek’s 13 acre wetland forest was commonly called a “swamp forest”. 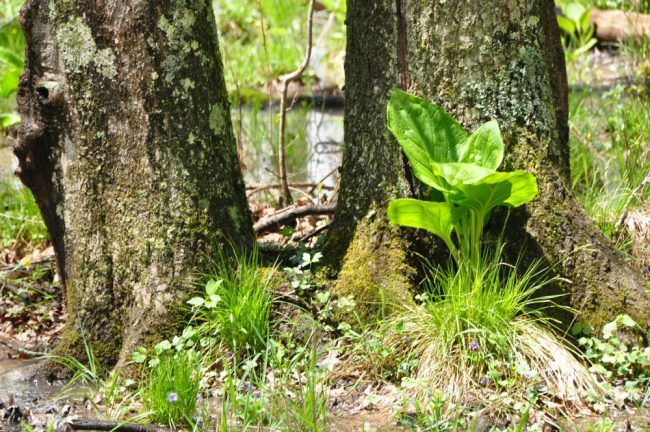 This enchanting little woodland is biologically rich and wildlife diverse, being akin to the world’s largest swamp forests found in the Amazon. 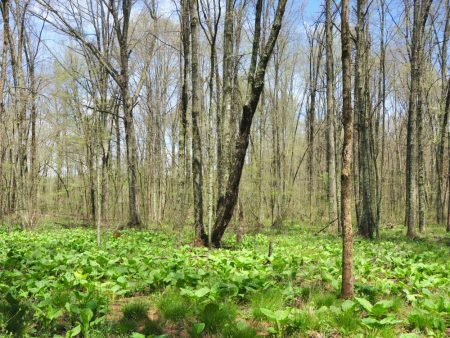 This small, but mighty forest, works to provide “ecosystem services”—non-monetary benefits like clean water, clean air, carbon sequestration, hunting, and yes—recreation for children. 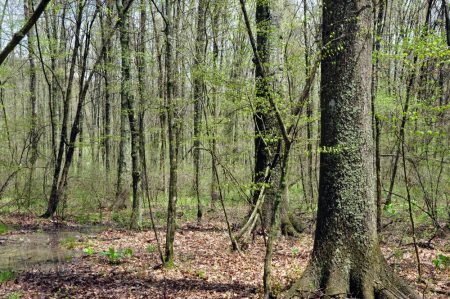 Otter Creek Forest is the best of both worlds. You can visit during a dry season to walk beside the 100+ year old trees and watch for deer, squirrels, raccoon, and turkey; or explore during the wet season and search for butterflies, turtles, frogs, crawdads, song birds, salamanders, newts, and a host of other aquatic invertebrates, migratory birds, reptiles, and amphibians. The 100+ year old trees incredibly beautiful. The majestic Pin Oak and Swamp White Oak provide the forest’s foundation, while Red Maple, Hickory, American Elm, Ash, Ironwood and Hop Hornbeam (Muscle Wood) fill in between. The Pin Oak and Swamp White Oak are especially adapted to the wetland growing conditions found in the forest. 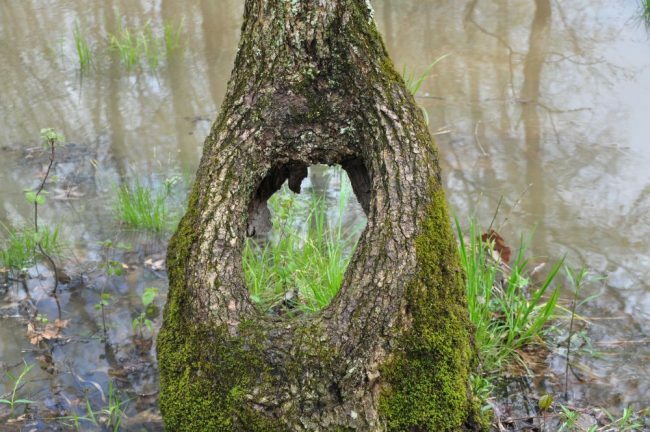 The Pin Oak bark was used by some Native American tribes to make a drink for treatment of intestinal pain. 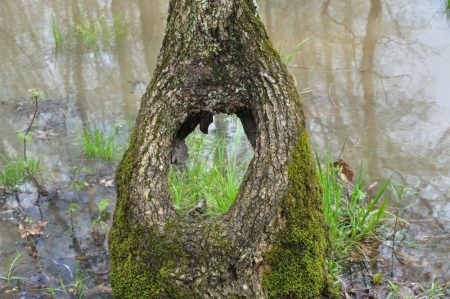 The name “pin oak” is possibly due to the many small, slender twigs, but may also be from the historical use of the hard wood for pins in wooden building construction. A few “Heritage Trees” are scattered throughout the forest and field edges. These ancient trees, have withstood the test of time, weathering ice, wind, lightning strikes and fire. 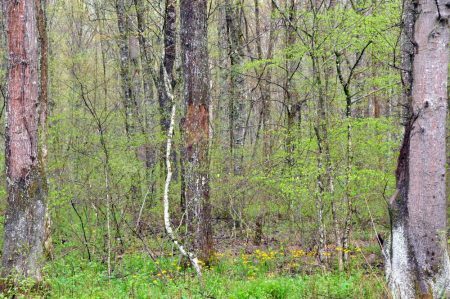 The forest is healthy and there are no signs of pest infestations of Gypsy Moth. The Emerald Ash Borer is present and it is anticipated that all the Ash east of the Mississippi will succumb to the borer over the coming decade. There have been no forest fires in the recent memory. The forest floor is home to several types of mushrooms, medicinal plants, ferns and cool green mosses. 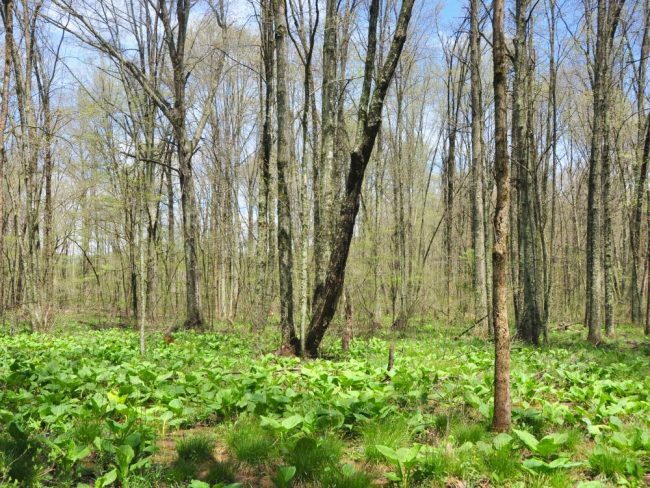 In the spring, the Otter Creek Forest floor is covered with the green, low growing plant, commonly known as skunk cabbage (also swamp cabbage, clumpfoot cabbage, meadow cabbage, or polecat weed). Breaking or tearing a leaf produces a pungent but not harmful odor, the source of the plant’s common name; it is also foul smelling when it blooms. The plant is not poisonous to the touch. 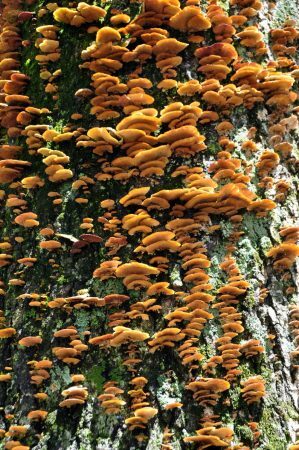 The foul odor attracts its pollinators, scavenging flies, stoneflies, and bees. The odor in the leaves may also serve to discourage large animals (and humans) from disturbing or damaging this plant which grows in soft wetland soils. Eastern skunk cabbage is notable for its ability to generate temperatures of up to 27–63 °F above air temperature by cyanide resistant cellular respiration in order to melt its way through frozen ground, placing it among a small group of thermogenic plants. Even though it flowers while there is still snow and ice on the ground, it is successfully pollinated by early insects that also emerge at this time. 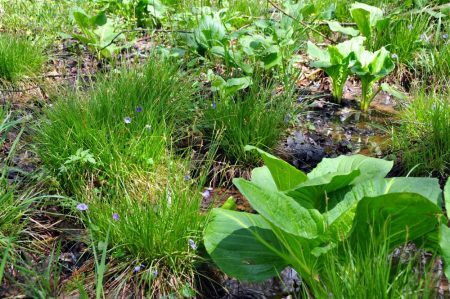 Some studies suggest that beyond allowing the plant to grow in icy soil, the heat it produces may help to spread its odor in the air. Carrion-feeding insects that are attracted by the scent may be doubly encouraged to enter the spathe because it is warmer than the surrounding air, fueling pollination. 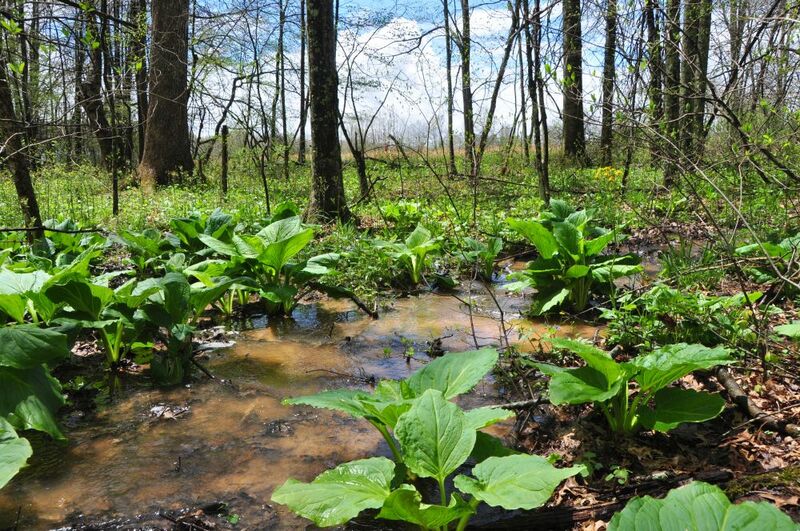 In the 1800’s U.S. Pharmacopoeia listed eastern skunk cabbage as the drug “dracontium”. It was used in the treatment of respiratory diseases, nervous disorders, rheumatism, and dropsy. 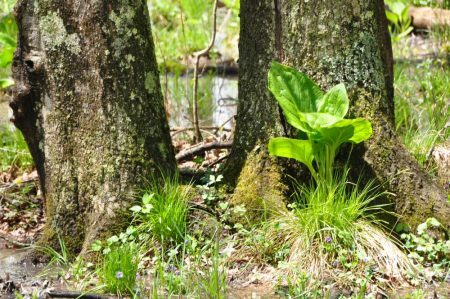 Skunk cabbage was used extensively as a medicinal plant, seasoning, and magical talisman by various tribes of Native Americans. 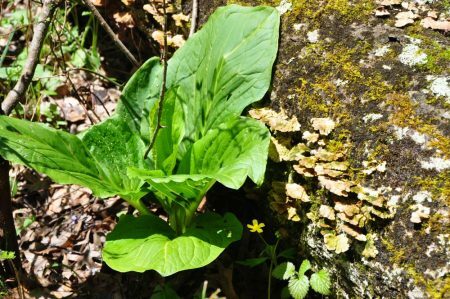 While not considered edible raw, because the roots are toxic and the leaves can burn the mouth, the leaves may be dried and used in soups and stews. 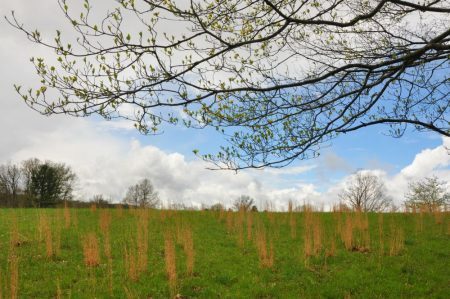 There are approximately 12 acres of open ground with most of this area comprised of excellent grassland suitable for grazing or for making hay on. 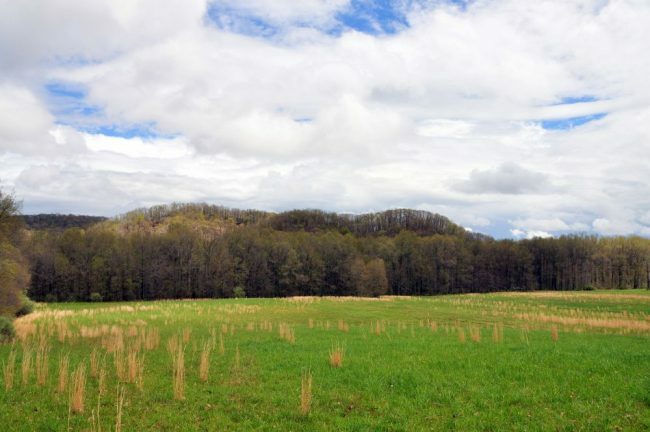 The lower lying field was “tiled” in the mid-1900’s to provide drainage and the shallow drain-fields are still visible functioning.This land would make a great horse farm. Otter Creek is an even mixture of hayfields/pasture and mature wetland forest, coupled with the abundant water supply from the blue-line creek, thus creating the perfect wildlife habitat. 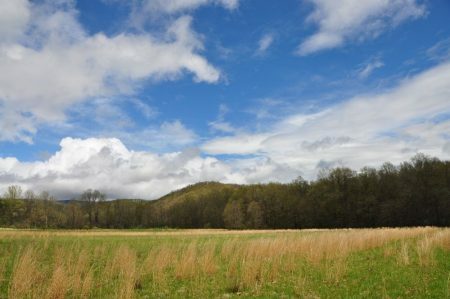 The “edge effect” created between field and forest is the perfect habitat for all the resident wildlife. White tail deer, wild turkey, squirrel, rabbit, raccoon, fox and many species of songbirds, owls and raptors make up the resident wildlife population. 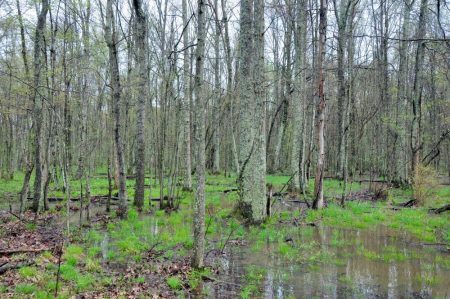 The hardwood wetland forest provides the essential nutrient source and produces tons of hard mast including acorns and hickory nuts, and black walnuts. Soft mast includes stag horn sumac, black cherry, tulip poplar seeds, maple seeds, autumn olive berries and blackberries. Otter Creek is blessed with a year-round water source. The actual 5 mile long Otter Creek is a year round, blue-line designated stream, flowing through the property for about 700’. 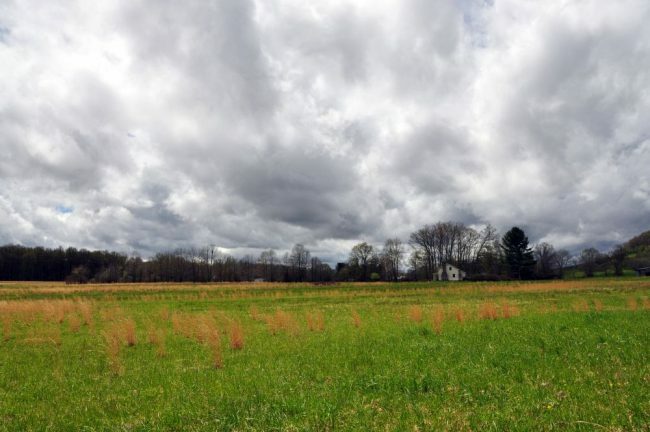 The owner has chosen not to lease out any mineral-oil and gas rights and all rights the owner has will co nvey with the property. 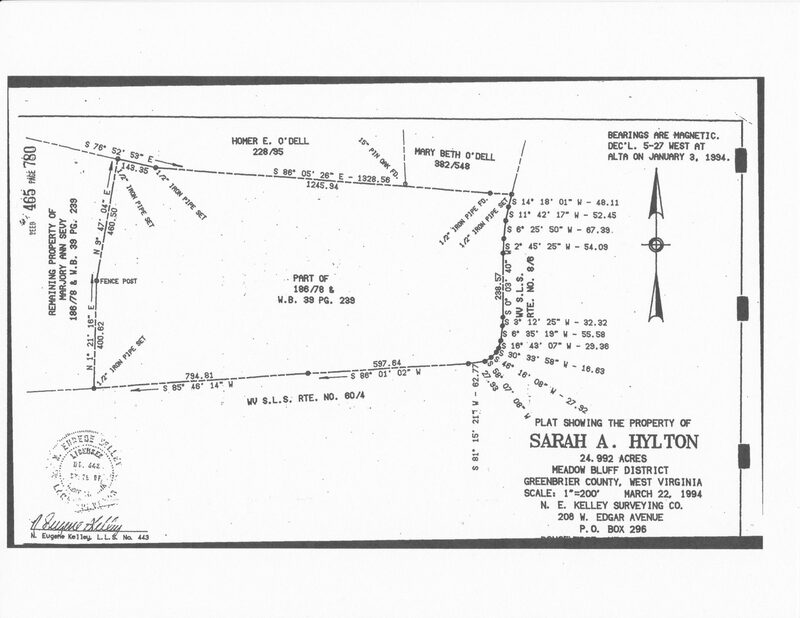 The property has been recently surveyed and the survey plat is on file at the Greenbrier County Clerk’s office in in DB 465 Page 780. 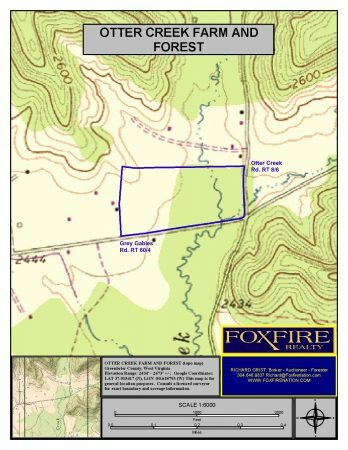 A large portion of the property boundaries is state road frontage. The property is being sold by the boundary and not by the acre. Sewer: No public sewer system currently available. A residential septic system could be installed. 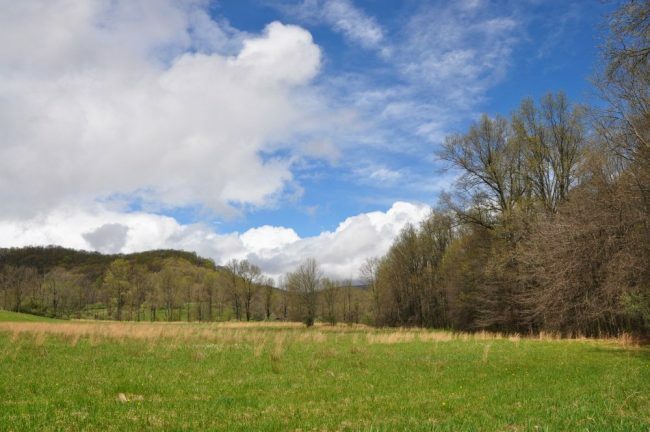 The property is comprised of about 11.5 acres in a large pasture field and about 13.5 acres as forestland. 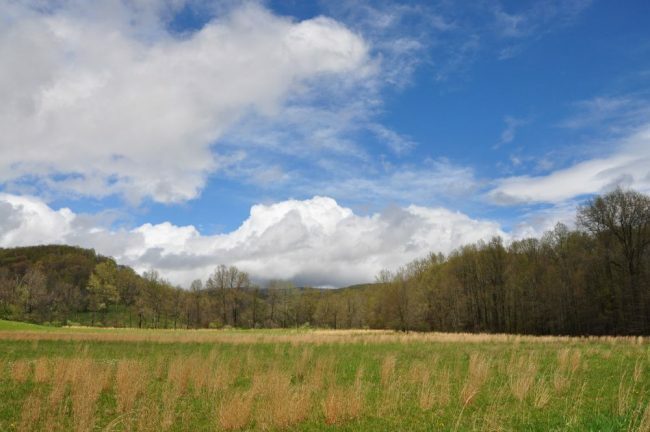 The surrounding area offers unlimited soft recreational activities including white water rafting, golfing, fishing, camping, hiking, bird watching and rock climbing. Snow skiing at the Winterplace Ski Resort is an hour away. In 30 minutes you can catch the Amtrak train in White Sulphur Springs and ride to Chicago or New York City. The Greenbrier Valley Airport is 25 minutes away and the Beckley Airport is just 40 minutes away. Otter Creek is supported with a great community known for its friendly residents and laidback lifestyle. 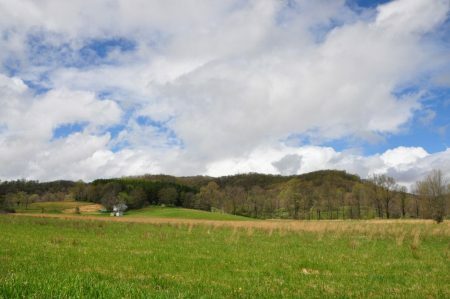 Lewisburg, a 25 minute drive, is the county seat of Greenbrier County and home to the WV Osteopathic Medical School (800 students) and the New River Community and Technical College. The area is a strong economic generator with a solid workforce employed in county/state government, tourism, hospitality, education, retail, construction, wood products, mining and agriculture. 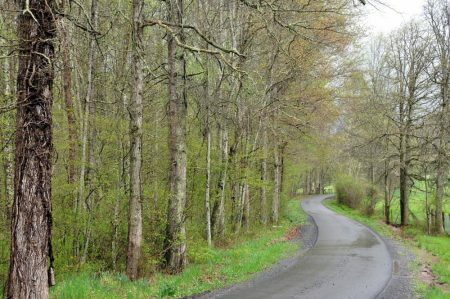 The Greenbrier Valley and surrounding area is richly blessed with a wide array of cultural events that keep life in the valley interesting and satisfying. A year round live theatre, Carnegie Hall (one of four in the USA), fine dining, art galleries and boutiques make up the thriving downtown historic district in Lewisburg. Lewisburg has been named the Coolest Small Town in America and has complete shopping, churches, schools, medical-dental facilities, fine dining, and a modern hospital. The Greenbrier Valley Airport, with the longest runway in the state has daily flights to Atlanta and Washington DC. The world renowned 4-Star Greenbrier Resort, home of the PGA tour, is a 30 minute drive. Several other area golf courses are available in the area. 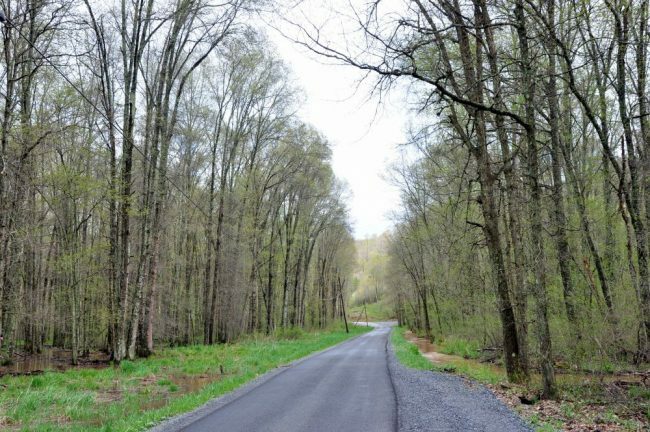 Rock climbing, ziplining, horseback riding and the 100 + mile long Hatfield-McCoy ATV trail makes for a very active recreation area. The friendly town of Rainelle offers a modern medical center, grocery, stores including department, hardware, auto parts, pharmacies, appliances, bakery, sporting goods and several restaurants. Rainelle is well known for its strong community spirit supporting an active fire department/EMT, civic, youth and church organizations. Modern public schools are nearby and buses run when school is in session. 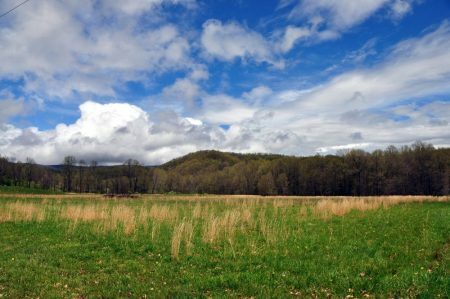 Otter Creek is located in the heart of the recreational mecca area encompassing the New River and 2000 acre Bluestone Lake at Hinton. The New River is the second oldest river in the world, preceded only by the Nile; it is the oldest river in North America. The New River is unique because it begins in Blowing Rock, N.C. and flows north through Virginia into West Virginia. The Nile and Amazon are the only other major rivers that also flow north. Year after year, it produces more citation fish than any other warm water river in WV. Smallmouth bass, largemouth bass, crappie, catfish, sunfish, hybrid striped bass, and muskie are all common species of fish found in the New River and Bluestone Lake. Travel I–64 West for 13.1 miles to Sam Black Church Exit No. 156; At end of exit ramp, turn right onto US RT 60 West and travel 0.1 mile; Turn right onto Grey Gables Road WV RT 60/4. Travel 1.1 miles and the property starts on the left.